I eat a significant amount of Thai curry takeout for dinner. Each delicious meal comes in a plastic soup container which, despite the fact I already have 20 of them, I always decide is a thing I should keep just in case I need to use it to store some unidentified item in the future. Washing the super-light containers that are totally not intended to be used more than once can be a bit of a hassle. I'm a horrific hand washer, but the water gusts from our dishwasher will often send the thin containers flying around to a point they end up not getting cleaned and I have to hand wash them anyway. It's not just a takeout issue. Washing lighter plastic containers no matter what their quality can be a huge pain. 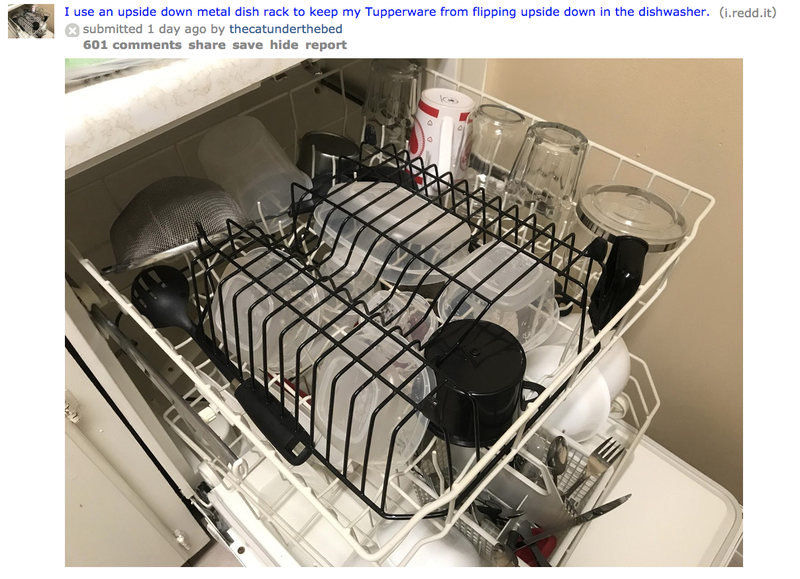 One Reddit poster, thecatunderthebed, has a great solution: put a metal dish rack over them. Once you load your plastic containers in your dishwasher, put a drying rack over to weigh the whole thing down sort of like a cage. 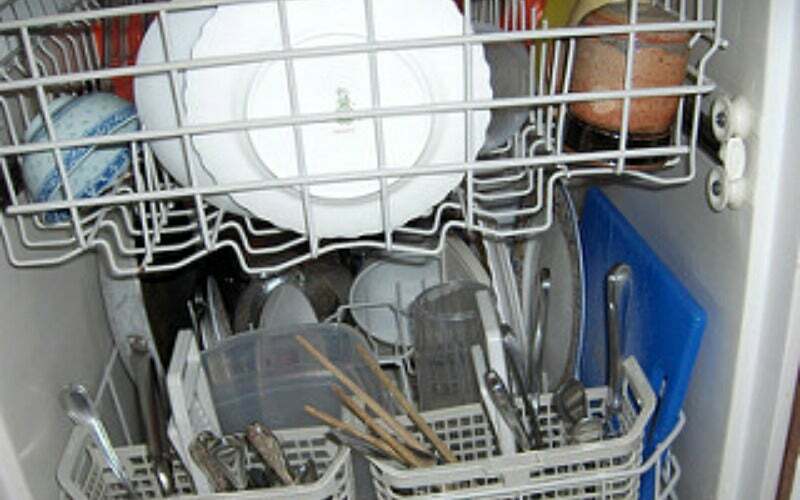 The rack is heavy enough to keep your plastic containers in place so everything can get washed without going for a ride around your dishwasher.